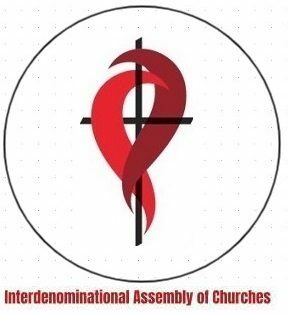 The Interdenominational Assembly of Churches is an interdenominational a Christian association of congregations and while individuals associated with us may believe and cherish certain doctrines, we first and foremost believe that a creator created the universe, the supreme deity unattainable which everything comes and take precedence over all differences, whether they be theological, denominational, ideological, or physical in nature. We believe in the Universal Creed. Therefore, on this website is where you will find libraries of reference materials concerning differing views of various Christian doctrines. The articles in these libraries have come from a variety of sources, on our website you will find many thought-provoking and sometimes controversial articles. Please keep in mind that the inclusion of an article on this site does not necessarily reflect the beliefs of the IAoC association. Neither does a writer’s inclusion on this site imply his agreement with all of the other articles. Each writer is responsible only for his own stated views. Some of the articles are from publications that are no longer in print and are given as a resource for people to use in learning about and comparing, differing beliefs among Christians. 1. They are one of a Christian denomination. 2. They are a registered corporation (NFP or NGO) or a Faith Based Organization (FBO). 3. They agree to maintain high ethical and moral values in all their dealings, personally and professionally. 4. They agree to respect each person’s difference in doctrine, style and personality as they follow the IAoC. 5. They agree to only speak in edifying ways in regards to other ministers, ministries. 6. They agree to treat all with whom they come into contact as they would like to be treated. Although other differences of beliefs, doctrine, interpretation, and opinion may be held and expressed by various members, these are to be held and expressed in love and fellowship with those who may differ. Since members of the IAoC are located in various locations throughout the world, members must be subscribed to our Bible Academy Workplace and the web-based Email discussions upon application approval at G Suite. Using the Google Meet video discussion who is a virtual way to meet, in most instances, the only way membership can be effective in fellowship, sharing and helping each other. The EMMI was founded in 2009 by the Rt. Rev.Dr. Eric Gagnon ThD, DDiv. DPhil. for Christians who do connect with the dogmatic doctrine which corresponds with reality. We want the truth observations and studies give us a vision of creating show us where our contemplation of God’s greatness. The IAoC is open to anyone who accepts that there is a supreme deity by the name of Christ, unattainable which everything comes. Members who are moving towards an ecclesiastical vocation, which are Christian and want to find the way to his own spirituality. The association is a Christian interdenominational. Ministerial Resource forum contains a board to clergy access only and contains resources to help the Minister in the performance of his/her duties. There will be other benefits forthcoming as the churches develop. Membership is with a due donation. we encourage a member to sponsor a new applicant mainly to avoid spammer. What our church offers you? An approach to spirituality based on nature, experience and reason. A place of self-discovery for those seeking an outlet for their spiritual side. Resources to help people define their own personal conception of something greater than themselves. What kind of person does the IAoC seek to attract? The association hopes to attract people who place a high value on free thought and reason, open-minded, individualists who are seeking a Christianity that can work for them. So what functions, other than worship, does a congregation offer, and why should Christians be drawn to a place that provides such functions? I (the founder) have long been intrigued by the idea of a church that encourages personal growth, celebrates reason and offers a place for a Christianity around the sacred texts. As a Christian, we offer these things, so the Church has a Christ Deistic foundation, but lacks many features that necessary to establish a lasting church, so the Church extends in more directions than Christianity alone. The dictionary says that a church can be either a place of worship or religious teaching (School). If some feel the need to congregate with others for religious or spiritual reasons, then a church association is the solution to them. And if a person has no desire to engage in worship, then a church is not needed for that function. The Church is not intended as a house of worship. A church certainly is a religious teaching/learning movement and a place for devotion, however, the IAoC is a church by definition and by extension a place to pray and accomplish rituals. Sharing the love of Christ as a member of the Interdenominational Assembly of Churches Association Ministry of Christian Corporations, your organization joins with other members around the world for mutual encouragement and support. By sharing fellowship through the IAoC, each organism is made stronger by access to a multitude of resources and expertise. Our primary mission is to serve the local church or Christian Organization. The IAoC is here when you need help when you need resources, Christian education, and ministries and. We can provide training for church leaders, advising during times of conflict. We give you the assurance that your contributions are making a difference and resources to better preach the Gospels. As an organization, the only way to survive is tied to the support and donation of our members provide. We exist to serve our members and relies on financial contributions to carry out our services. The IAoC does require a membership donation plus each church support the organization through the Fair Share, we also ask churches to contribute to the Cathedraticum of each bishopric.